HomeFashionHow to Wear Boyfriend Jeans in 2019. 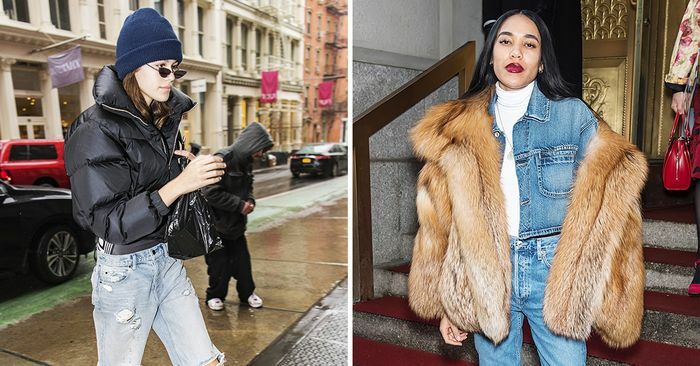 How to Wear Boyfriend Jeans in 2019. February 12, 2019 Fashion Comments Off on How to Wear Boyfriend Jeans in 2019. Vintage-toned jeans and a coordinated jacket have a ’90s feel, but adding a simple turtleneck and ankle boots make the look feel especially modern. Ankle boots are a classic shoe to style with high-rise boyfriend jeans. Add a pair of skinny sunglasses for a 2018 twist. A plaid blazer was a favorite this past fall; just add boyfriend jeans and a sweatshirt for an ensemble that works from day to night. While boyfriend jeans have a reputation for being a relaxed pick, with a tucked-in turtleneck, clutch, and boots, they feel perfectly polished. Instead of styling stilettos with standard skinny jeans, try swapping in boyfriends. Brexit debate: Peter Bone and Yasmin Alibhai-Brown. May 11, 2018 Comments Off on Brexit debate: Peter Bone and Yasmin Alibhai-Brown.